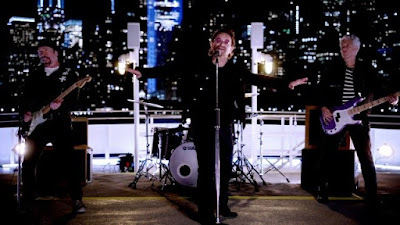 Directed by Jonas Åkerlund and filmed earlier this month, the clip features the band in various locations around New York City, where they played their first U.S. club gig in December of 1980. Due December 1, the companion release to 2014’s “Songs Of Innocence” will be available on CD, vinyl and digital download. U2 recently wrapped up the North American leg of their 30th anniversary tour of “The Joshua Tree”, and will resume the trek in Mexico City next week before heading to South America for more concerts, including a four-night stand at Morumbi Stadium in Sao Paulo, Brazil.